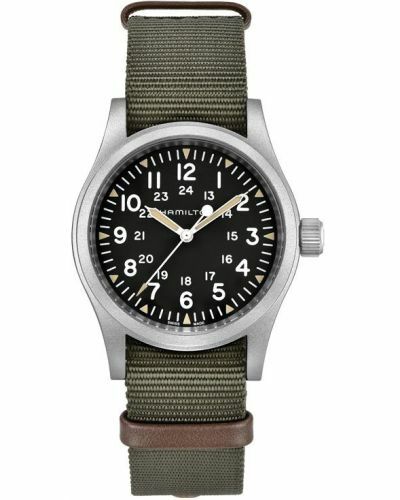 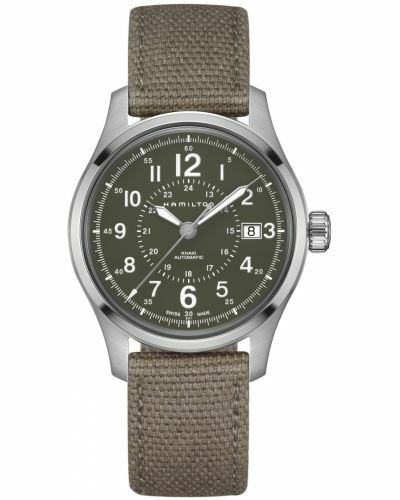 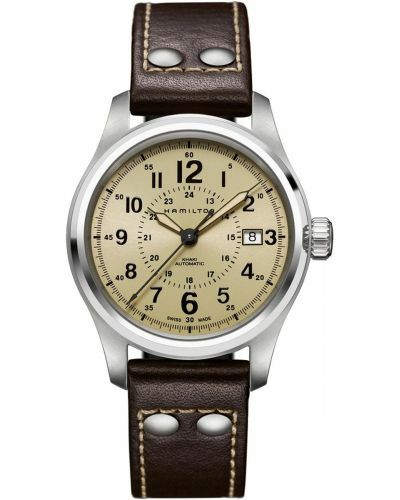 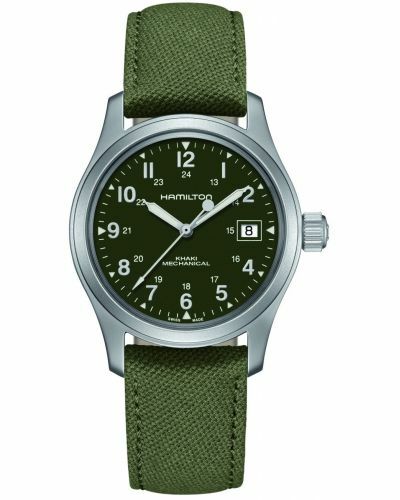 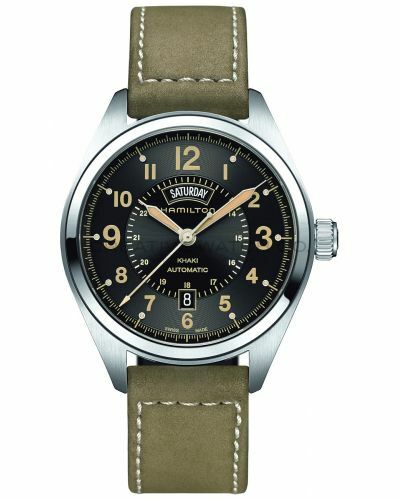 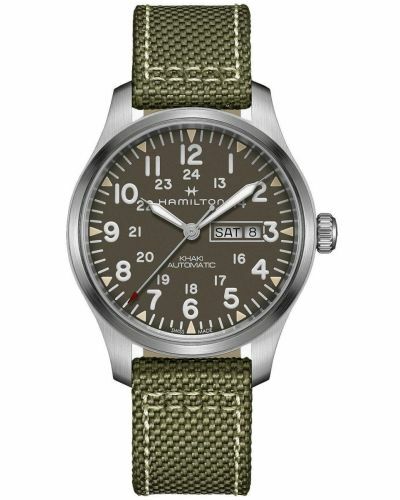 The Khaki King puts a stylish twist on military watch. 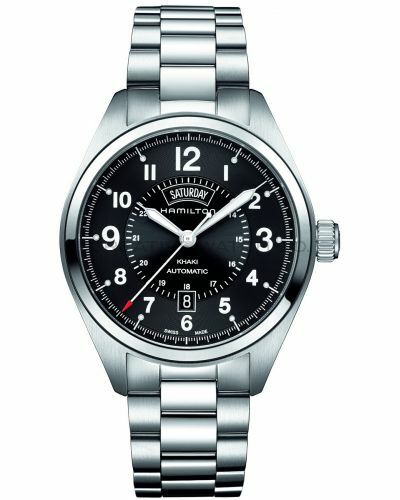 The dial comes complete with both 12 and 24 hour markers and an easy to read day and date display which is located at 12 o'clock. 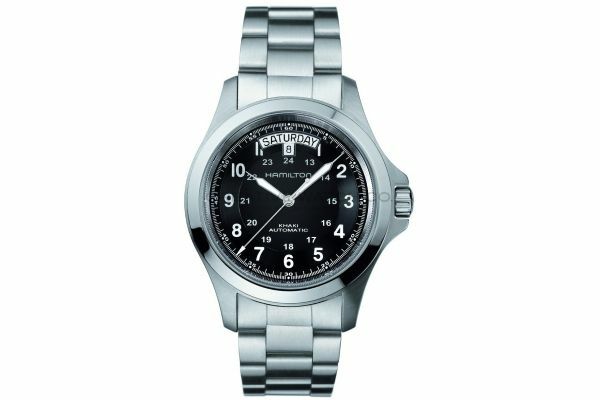 The brushed stainless steel case and bracelet supports the chunky but yet elegant design, which can be worn both as a dress watch and casually. 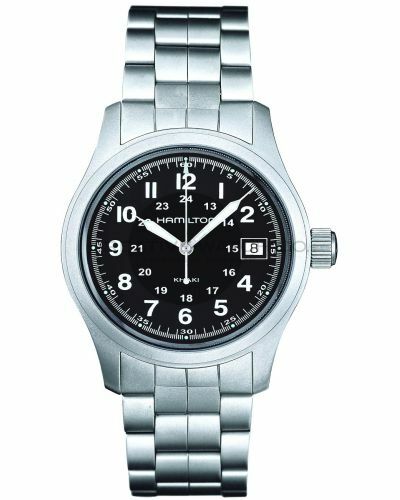 the reverse of the dial features a glass back where the ETA movement can be viewed. 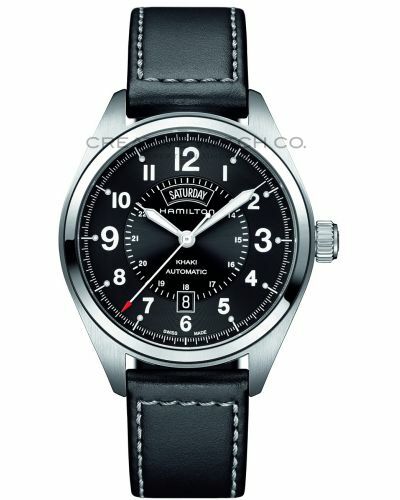 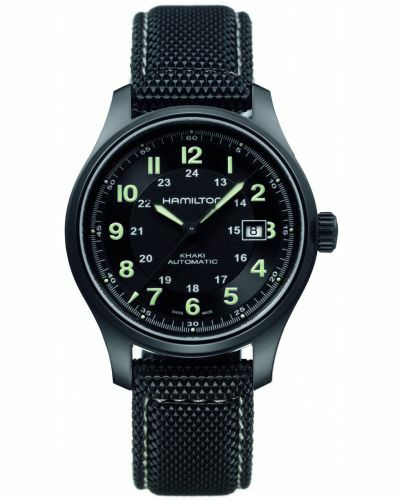 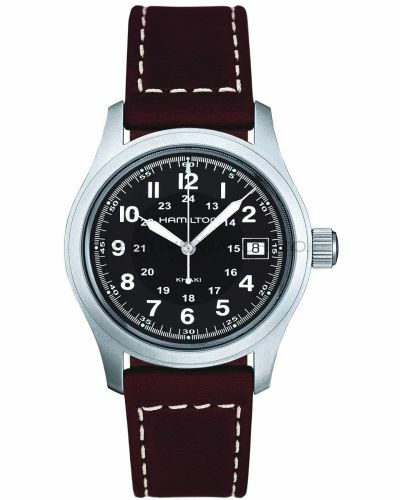 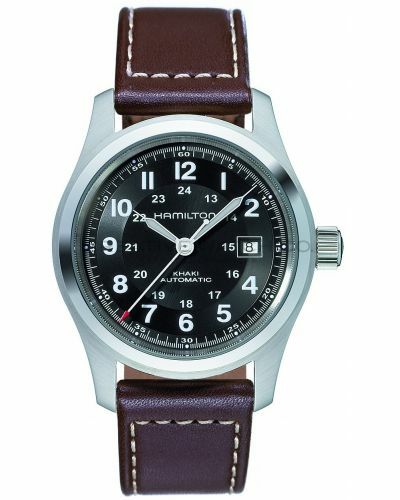 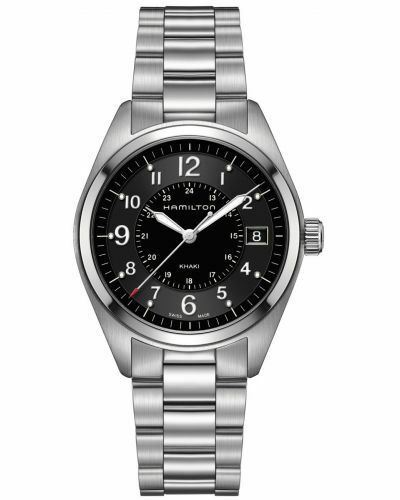 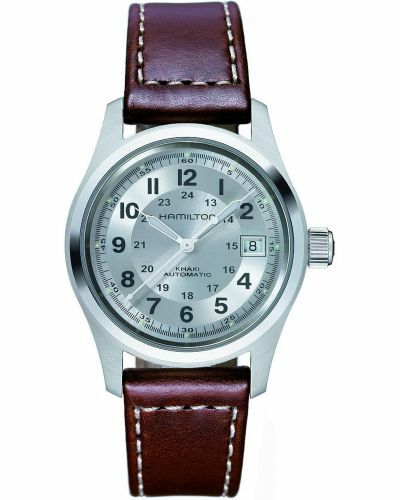 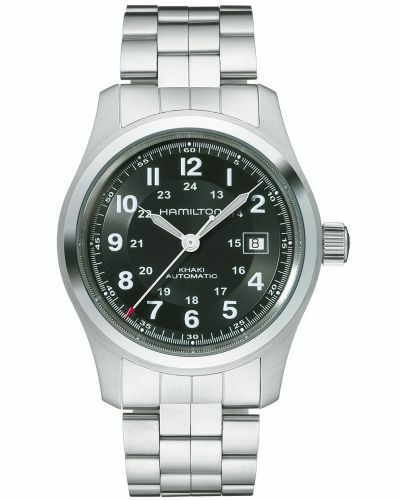 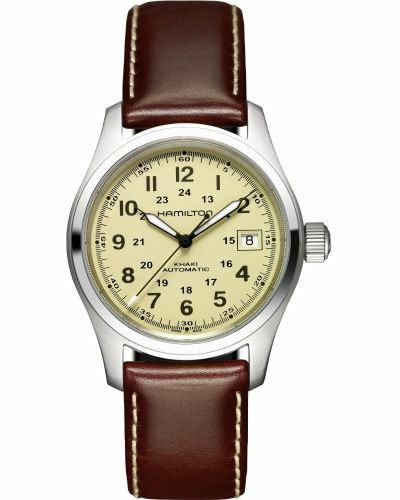 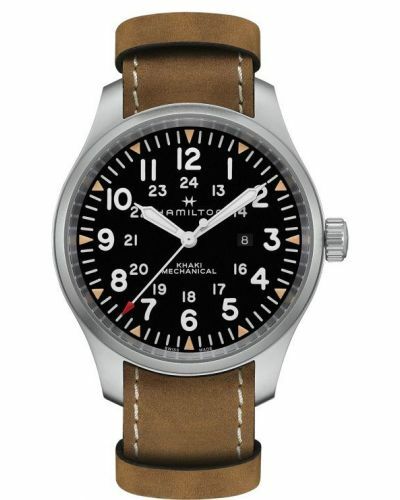 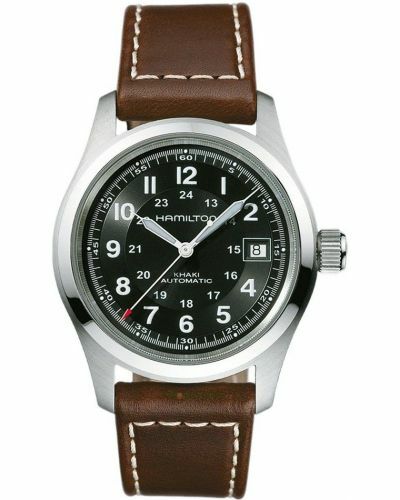 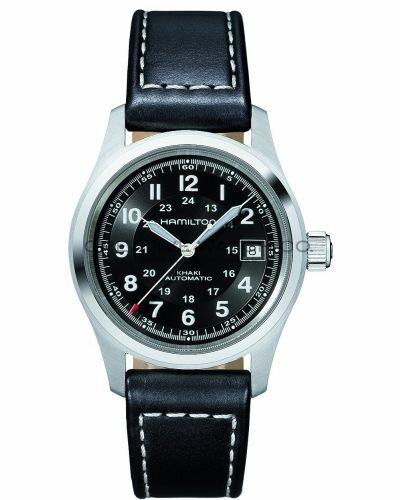 Hamilton and military watches go hand in hand. 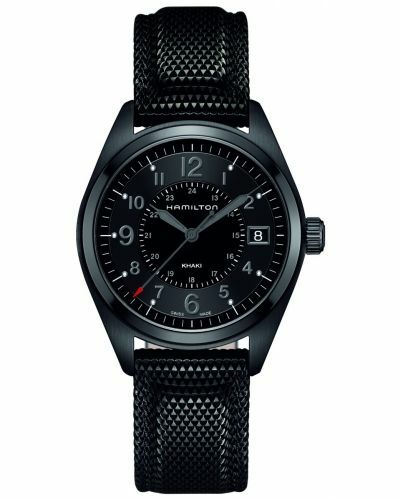 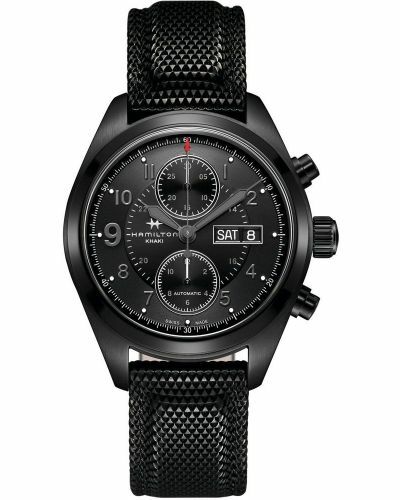 The brand has been producing time pieces for the forces since the Second World War and has built an outstanding reputation for reliability, innovation and of course quality. 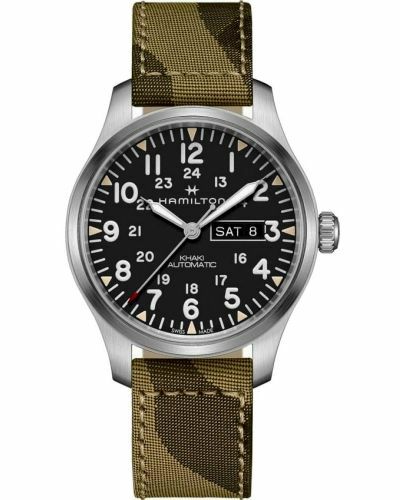 Providing watches with these attributes earned Hamilton Watch Co a US Army-Navy “E” Award for ‘excellence in production of military equipment’.